Ozians, rejoice! 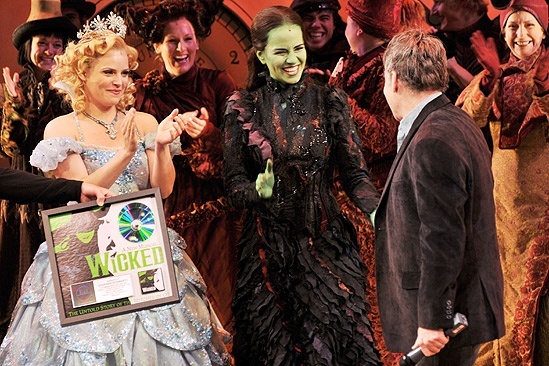 Wicked stars Katie Rose Clarke and Mandy Gonzalez give composer/lyricist Stephen Schwartz a well-deserved hand as he receives the plaque commemorating the show's double platinum record sales. On November 10, 2010, Wicked celebrated selling more then two million copies of its original cast recording.